I didn’t really know what to expect when I got the request to review this book. All I knew was that I couldn’t turn down a book that had a cat as one of the main characters. 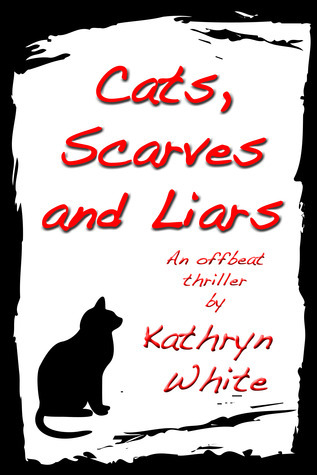 Cats, Scarves and Liars is a very quirky book. It is full of humor and can make you laugh. It is a pretty light read and is easy to get through. Peppa is a really likeable protagonist. Her personality really gives the life to this book and makes it fun to read. The supporting cast was also written very well. The storyline was a little weird, but in a good way. I feel like it could have maybe even been a little longer to go further into the lives of the supporting cast, but it is also good the way it is. It got really weird at the end when the true story behind the talking cat was revealed, but it all came together and started making sense as well. Overall, I felt it was just a pretty fun read. There were some deeper topics, but they were sort of glossed over and Peppa’s personality really took over. I would recommend it for a nice Sunday afternoon if you are looking to have a little fun while reading.